Procella Audio, a high-end loudspeaker manufacturer with offices in Stockholm, Sweden, and Sydney, Australia, is launching operations in the United States with the opening of a Los Angeles office. The company will make its U.S. debut in booth 6235 in the B Hall at CEDIA EXPO in Atlanta Georgia, September 10-13, 2009. Joining the company and directing U.S. operations is industry veteran Chuck Back, formerly EVP of Miller & Kreisel Sound. His global partners, former directors of DTS’s European offices, are Anders Uggelberg, who is based in Sweden, and Gerben Van Duyl, who is located in Sydney, Australia. The Procella product line consists of three L/C/R/Surround loudspeakers and three powered subwoofers, combining audiophile sensibilities and sound quality with performance to professional audio standards. Based on a scalable concept that offers multiple system configurations, Procella systems have been designed to assure listeners the ability to achieve reference-level playback with uncompressed dynamics in any size room up to small cinemas. Procella’s Identical Voice concept offers what the company calls pure timbre match among all Procella models, allowing system designers to use any combination of products with no change in audio quality. The L/C/R/Surround models are the P6, P8, and P815. Procella speakers make exclusive use of one-inch polyamide high-frequency compression drivers mounted on Procella-designed elliptical waveguides. In comparison to dome tweeters, these drivers provide far superior power handling, maximum output, lack of dynamic compression, and uniform dispersion at all frequencies, according to the company. With either long-throw 6.5-inch or eight-inch mid/woofers, all models use Procella-designed crossovers that are designed to exhibit flat phase response and ultra-low group delay, with distortion-free air core inductors and polypropylene capacitors for maximum sonic purity. The P6 is a compact, two-way speaker with a long-throw 6.5-inch woofer and a one-inch high-frequency unit. The speaker is designed for use in small- to medium-size home theaters, living rooms, and studios. Its recommended subwoofer crossover frequency is 80 Hz, and MSRP is $1,499 each. The P8 is Procella’s reference main speaker, using an eight-inch long-throw woofer and a one-inch Procella high-frequency module. The recommended subwoofer crossover frequency is 80 Hz, and MSRP is $2,499 each. Both the P6 and P8 cabinets have shallow depth for on-wall and screen wall placement. The full-range bi-amplified P815 provides maximum output, suitable for very large rooms and small cinemas. It mates a 15-inch woofer, in its own enclosure, to a P8 secured by a mounting bracket and connected with a custom umbilical cable. Power is 700 watts for the 15-inch woofer module and 700 watts for the P8 module. The recommended subwoofer crossover frequency is 40 Hz, and MSRP is $8,999. Procella’s powered subwoofer models include the P10, P15, and P18. Only sealed boxes are used. Each subwoofer’s cabinet depth has been kept shallow to provide a low profile for placement in screen walls, in narrow spaces near projection screens, or against walls with flat-screen televisions. All models have a dual-driver design and dual amplifiers utilizing 28/56 bit DSP processing, which provides four user-selectable settings for room boundary conditions: free standing; against a wall; in a corner; and mounted in a baffle wall. The P10 is a dual 10-inch subwoofer, powered by a 2×350 watt continuous power amplifier. Its low frequency response extends to 19 Hz ±3dB, and its maximum output is 119 dB (50 Hz). MSRP is $3,999. The P15 is a dual 15-inch subwoofer with a 2×350 watt continuous power amplifier and response to 22 Hz, with 125 dB maximum output at 50 Hz and an MSRP of $5,999. The P18 is a dual 18-inch sub with 2×700 watts of amplification and response to 18 Hz, with an output of 133 dB at 50 Hz. MSRP is $8,999. Launched in 2006 in the U.K., Procella Audio was formed by Anders Uggelberg, who was at the time director of cinema technology for DTS Europe and Gerben Van Duyl, who was also at DTS as director of business development for consumer technology. Uggelberg, a THX trained and certified cinema designer with over 300 cinema and professional studio designs to his credit, was asked to design and build a state-of-the art in-house 30 seat preview theater at the DTS Europe headquarters in Twyford, U.K. Working with Van Duyl, their goal for the theater was to produce reference quality sound for playback of current and future cinema and home entertainment media. 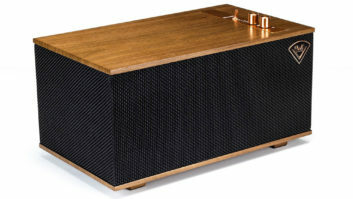 The duo surveyed an array of available speaker systems, and determined that no existing system could meet their requirements. As a result, Uggelberg designed a new speaker system, which he and Van Duyl quickly realized had great commercial potential, leading them to depart DTS and form the new company. Today, Van Duyl is based in Sydney, Australia, where, in addition to Procella Audio, he is also managing director of MAREOR, an Australian distribution company for several high-end cinema and home cinema products. He is a full voting member of the BAFTA (British Academy for Film and Television Arts) and member of the BAFTA Sound Chapter, since 2003. Uggelberg is located in Stockholm, Sweden, where he is the primary speaker designer for Procella. Also a consultant to cinema exhibitors in Scandinavia, he is currently a board member of the ICTA (International Cinema Technology Association) since 1997, a published member of AES (Audio Engineers Society) and a member of the SMPTE (Society of Motion Picture and Television Engineers) since 1980. Los Angeles-based Chuck Back is responsible for all U.S. activities of the company. 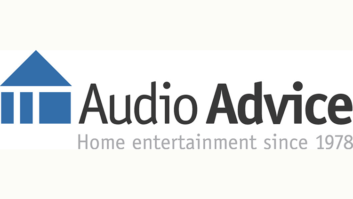 A 30-year veteran of the audio-video industry, Back was executive vice president of Miller & Kreisel Sound from 1989 to 2007, where he was responsible for all aspects of day-to-day operations for the highly-regarded loudspeaker manufacturer. For more information, visit www.procella-audio.com.